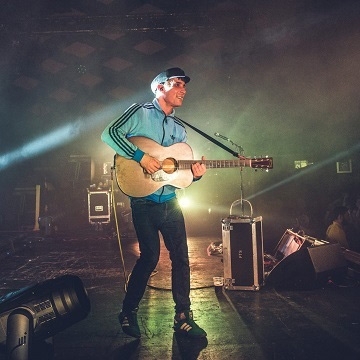 With no hype machine, no radio play and no record label backing, Gerry Cinnamon has achieved record breaking success and cemented his status as Scotland’s most successful independent artist. Gerry’s music crosses generations in a way that only a handful of wordsmiths can - relatable, relevant and a true story teller. Unsigned and unmatched in his ability to operate outside of the mainstream Gerry has become a cult hero and force to be reckoned with. His anthemic tracks, laced with social commentary have captured the imagination of audiences up and down the country. With every track being so different, it keeps the listener on their toes. Using loop pedal harmonies and pounding kick drums, Gerry makes a habit of whipping the audience into a frenzy which sees them leaving on a high and wanting more.